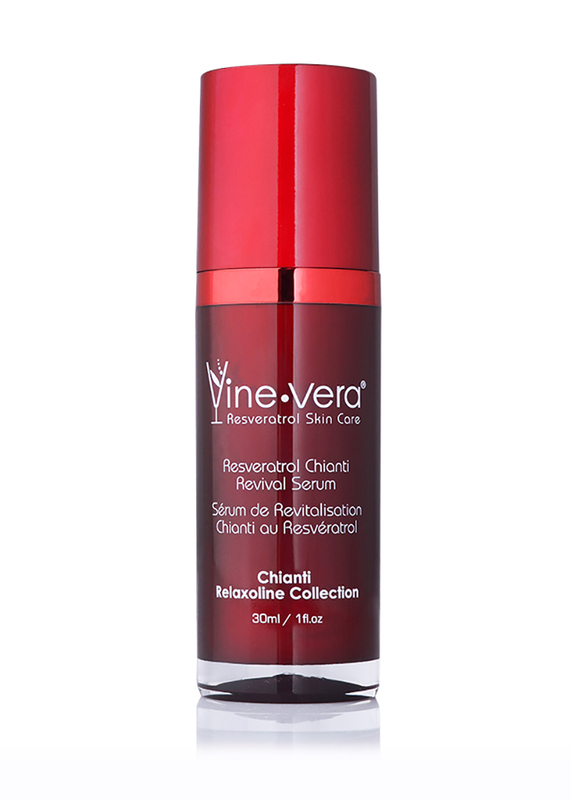 View cart “Resveratrol Zinfandel Illuminating Pre-Mask” has been added to your cart. 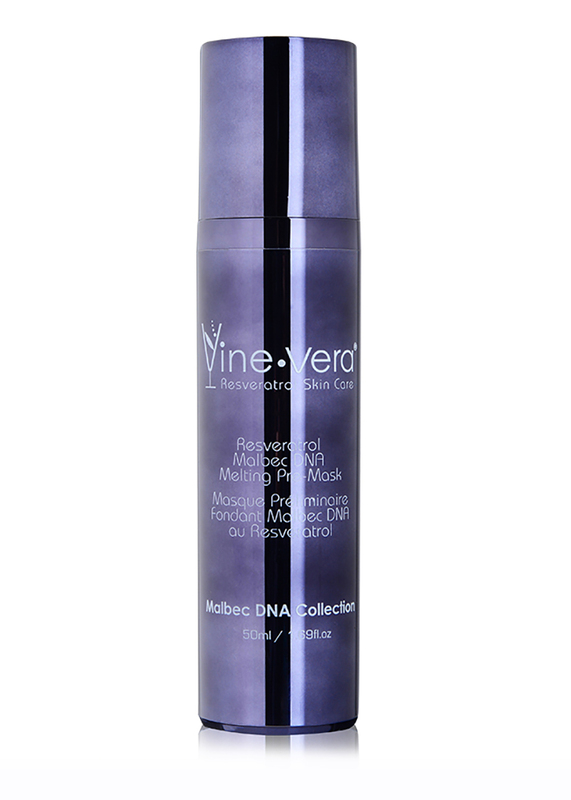 This advanced formula is packed with powerful ingredients such as Resveratrol Ferment extract, vitamin E (Tocopheryl Acetate) derivative, Hyaluronic Acid and Avocado Oil (Persea Gratissima Oil). 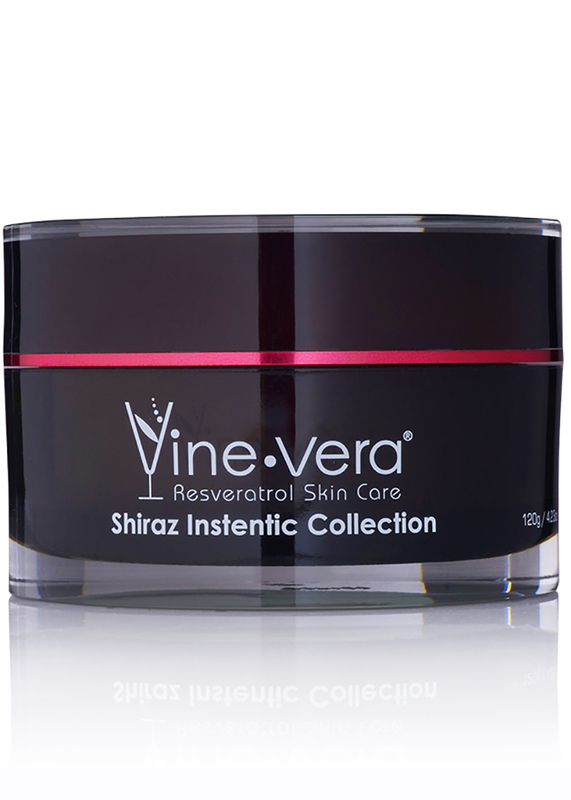 Immediately reduce the look of deep wrinkles with this innovative formulation and advanced application method. Apply to cleansed skin. 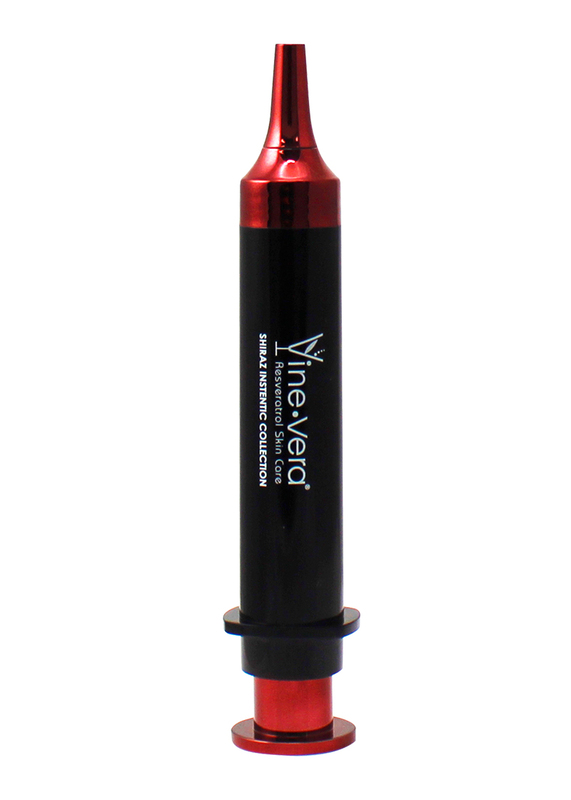 Press top of syringe until product dispenses and apply directly to wrinkle. 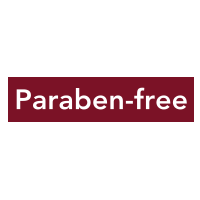 If necessary, remove excess product with cotton swab. Why does this product look like a syringe? This product has been designed to look like a syringe because the serum inside mimics the effects of cosmetic injectables. However, this non-surgical syringe is painless and non-penetrative, it merely dispenses the serum to deliver the product directly onto fine lines and wrinkles. How often can I use this? This product was designed for special occasions however you may use this as often as once per week. 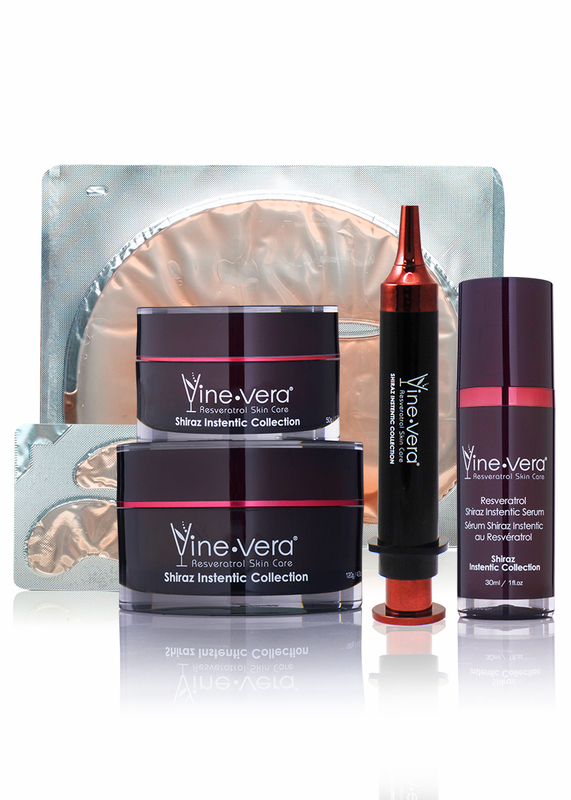 Be advised these are general instructions, if you visit a skin care advisor at a Vine Vera retail location, they may provide more individualized instructions based on your skin type and individual goals. Are the results temporary or permanent? The results are temporary. Some customers have reported long-term reduction in wrinkles after 6-8 weeks consistently using this product, but we cannot guarantee the same result for every skin type. Can I apply makeup over the areas where I applied the syringe? We do not advise applying any cosmetics directly over the areas where the syringe’s serum has been applied. Cosmetic ingredients may interfere with the syringe’s tightening effects. I noticed the product dries white. What can I do about that? It’s important to apply a very thin layer of serum directly onto the desired area. Too much product may cause the skin to look white and chalky. If you applied too much and the area looks dry or white, you can apply a tiny dab of eye serum over the same area. 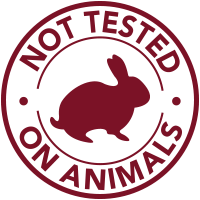 Do not apply any other cosmetic products over the areas where the syringe has been applied or the tightening effect may be disrupted. I was walking through the mall earlier today and ran into ido he finally convinced me to let him show me a couple of products!the first was a peeling cleanse thing to help with my sons acne. He used it tonight and holy cow! Just one use and such a massive difference! And I got this product. He tried it under my eyes for my really bad black bags and not even 30 seconds after he was done applying it half the dark lines were gone!!! I was flabbergasted! Only thing my son could saw was wow and amazing. This is worth every cent and then some!! 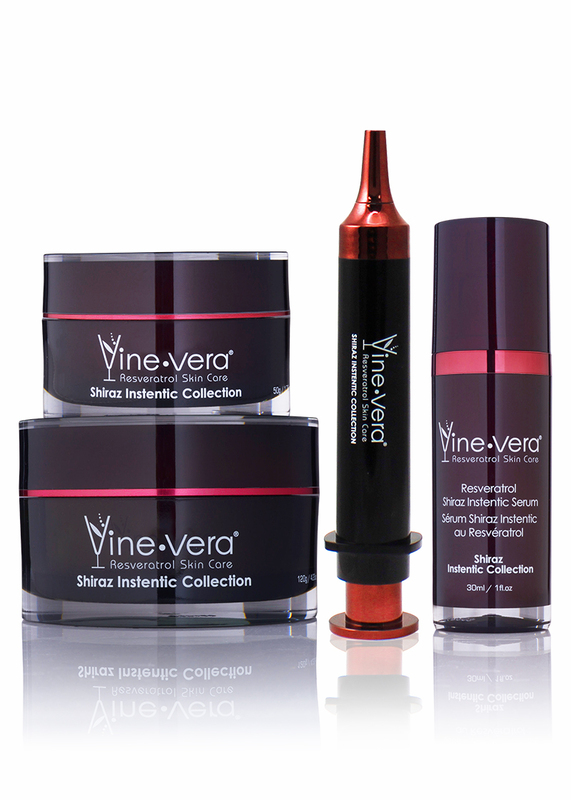 We are sold on these products!!! ❤️ Them! And thank you so much Ido for keeping me pinned down to try this product!! I absolutely love this stuff! First night using it I felt a huge difference in my skin and even in the morning! Works wonders on my under eye bags. I am 61. After the first week of treatment I looked years younger…baggage gone! After 5 weeks I was asked if I’ve recently had a facelift. I love this product. I’m sold! Excellent product all women after 45 must try this product. At long last I have found something to help me in concealing the bags , puffiness and wrinkles under my eyes. My husband and daughter were very surprised with the result as they have been bearing with my groaning and complaining about my face. Thank goodness I was approached by your staff and invited into the shop as now I am gaining my confidence once more. Thank you. I can tell dramatic difference after using around eyes! I got this in September (now Feb). Have used once a week. Notice a major difference on wrinkles on outside of eyes (crowsfeet but also moving closer to nose, not just crowsfeet). Expensive but I think I will buy again! Does work a bit on puffiness (I have puffiness under eyes close to nose) but the results.MUCH more noticeable on wrinkles vs puffiness. Highly recommend for wrinkles around the eyes! Must have! The best out there!! I am 26, and the severity of my under eye circles and puffiness is quite embarrassing. I am a mother to two young children so tiredness paired with genetic, just isn’t on my side. I had Alex, who works at a local mall kiosk show me the benifits of the products on my face. I didn’t purchase at first due to price but I went home and did some research. And I was still seeing results 9 HOURS LATER!!!! AMAZING. 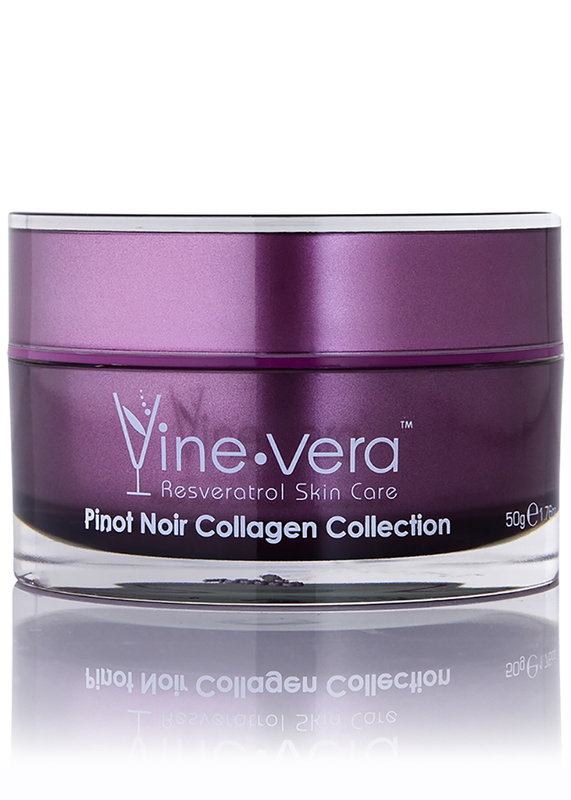 As this product was applied I could feel my skin tightening up and instantly plumping. It didn’t leave any film or oily feel behind. I knew I had to have it. I went back and bought this, along with a few other products. The results are so consistent and always so great. 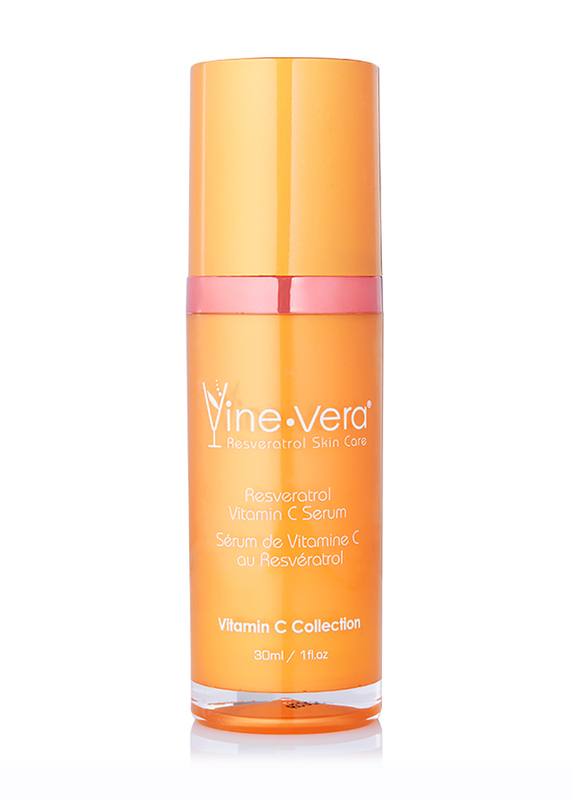 This product is definitely the best out there, without undergoing procedures.